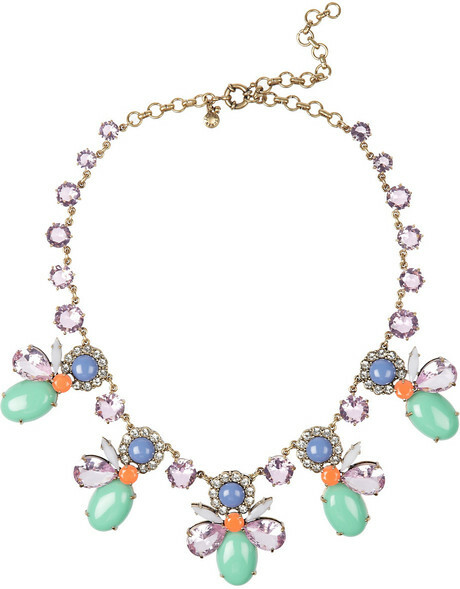 Statement necklaces are all the rage this season. Find one that suits your style and budget! 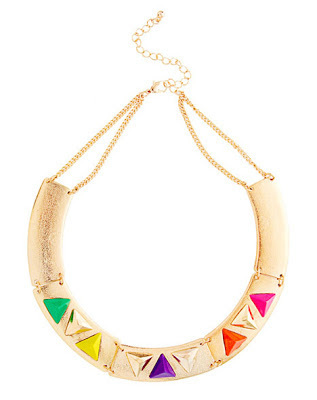 This edgy gold necklace by ASOS has contrast coloured triangle detailing which would complement a wide range of outfits. It's definitely one of my personal favourites. Next up is another one by ASOS. 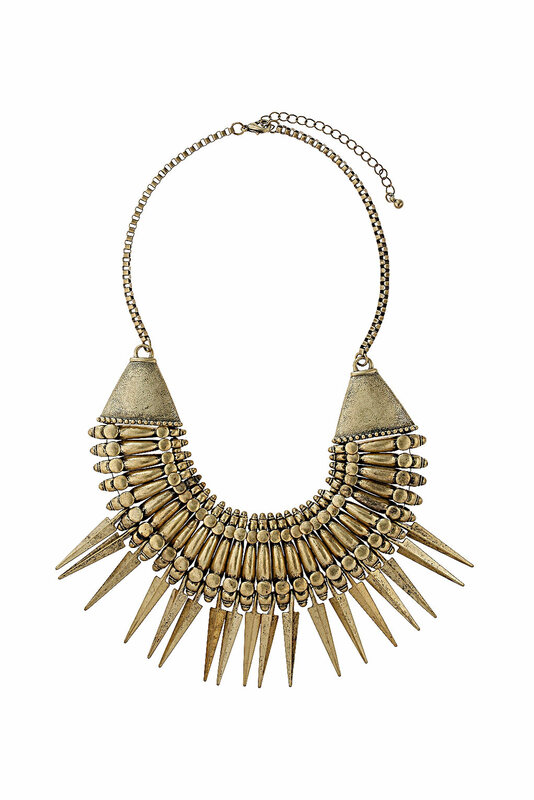 This stunning piece has spike embellishments and jewel pendants with tiny diamontes. It's edgy yet feminine at the same time. 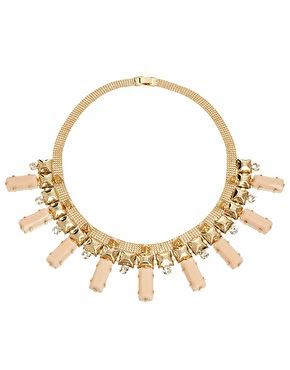 I am totally in love with this affordable yet statement worthy piece by New Look. It would definitely take your everyday look to a whole new level. I am thrilled that J Crew have opened up shop in the UK recently. 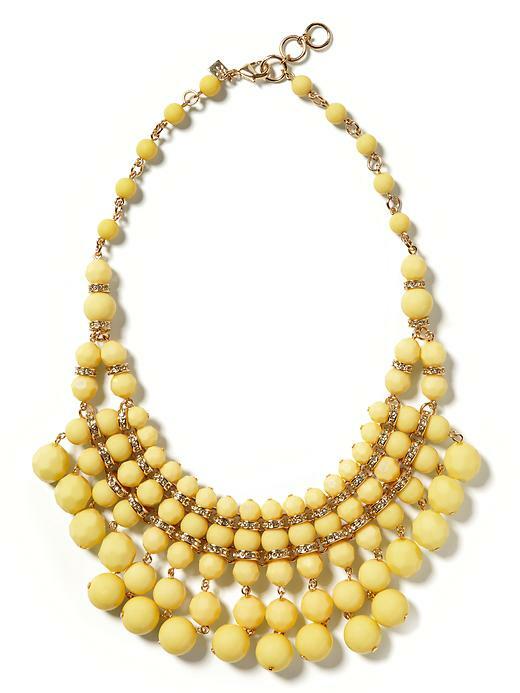 This stunning piece features a pastel colour palette with vintage inspired accents. This gorgeous yellow piece by Banana Republic has a 10K gold plated base with a waterfall of yellow glass stones. Perfect for spring. 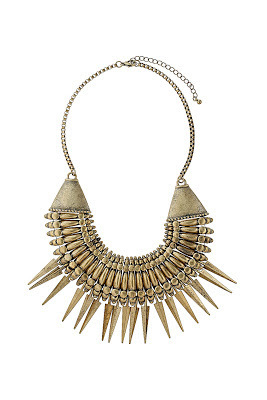 Last but not least is this edgy tribal warrior inspired piece by Topshop which features an antique gold finish.